Oh joy!!! I’ve finished something in less than a month; 2 1/2 weeks actually. It’s such a thrill to jump into a project and just breeze through to the end. 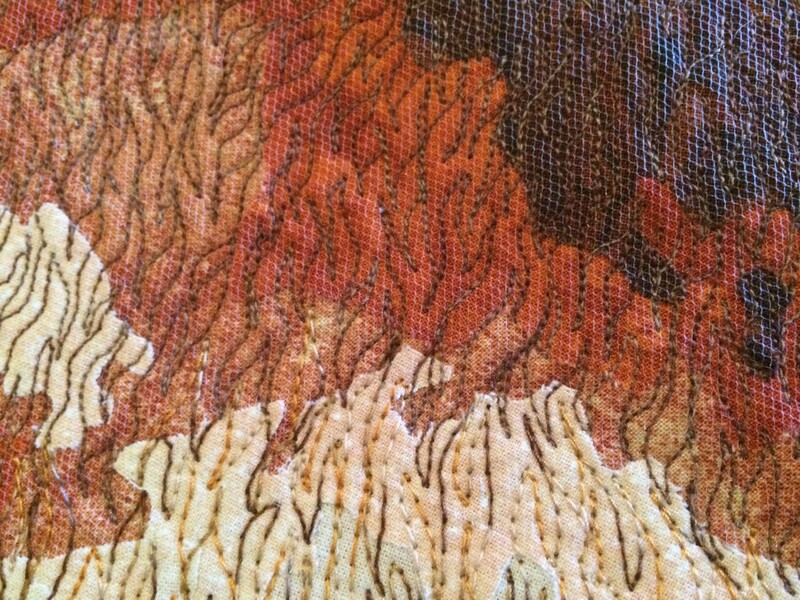 With this piece, I took a break from thread painting and just did some dense stitching. 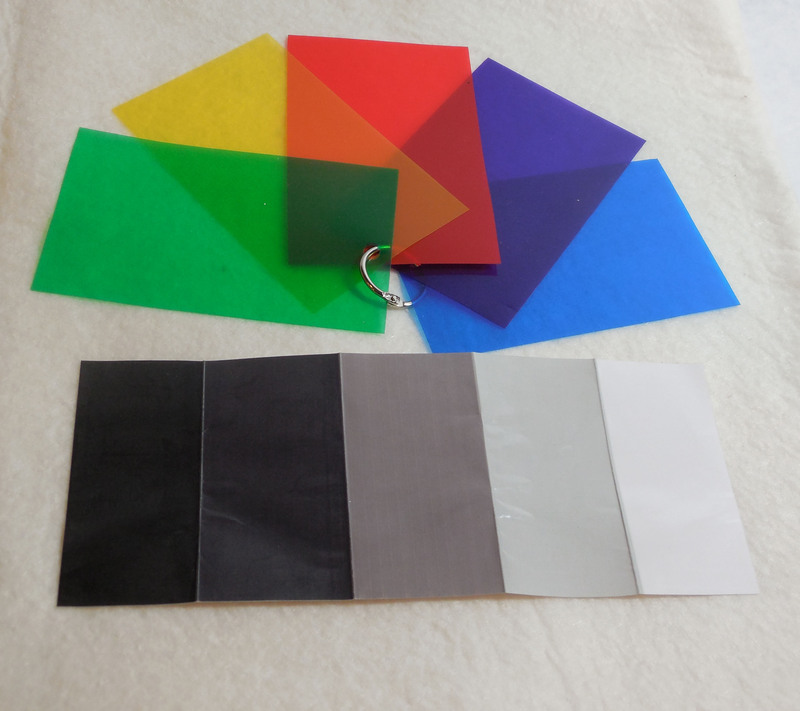 The new challenge was to establish some designs that would fit with each element of the composition. 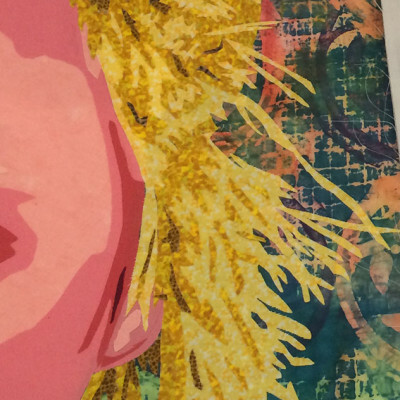 The blonde hair of the girl was easy. 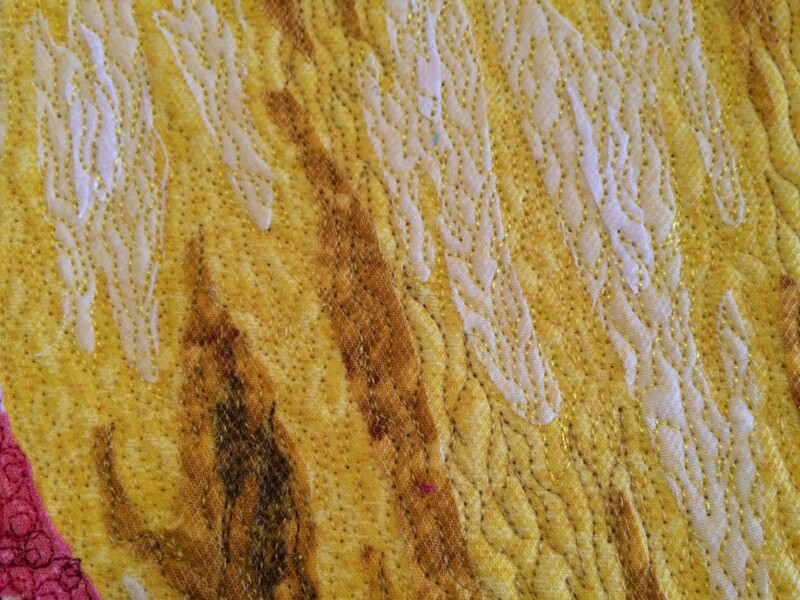 I used various values of yellow threads in long, undulated lines of stitching. 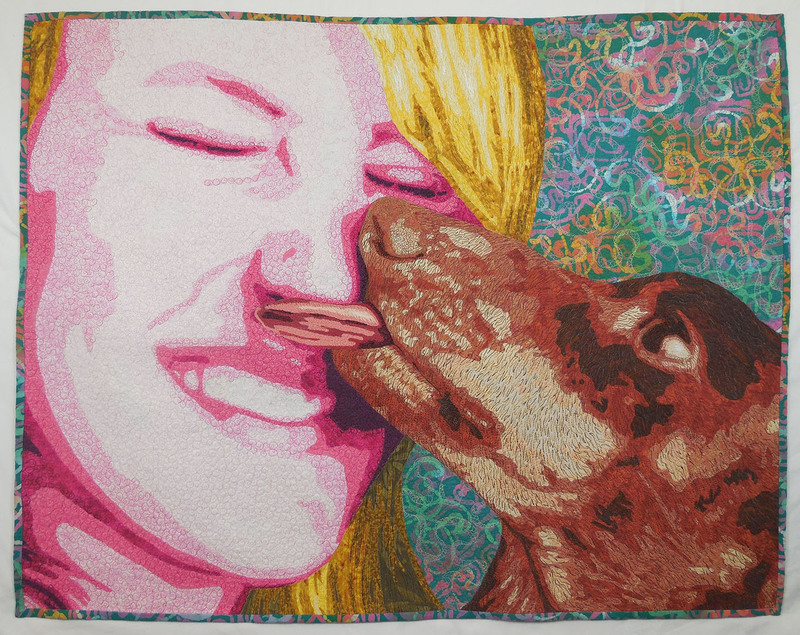 Next, similar, but shorter, wavy lines were put down with some variegated threads in a pattern that alluded to the hair of the dog. 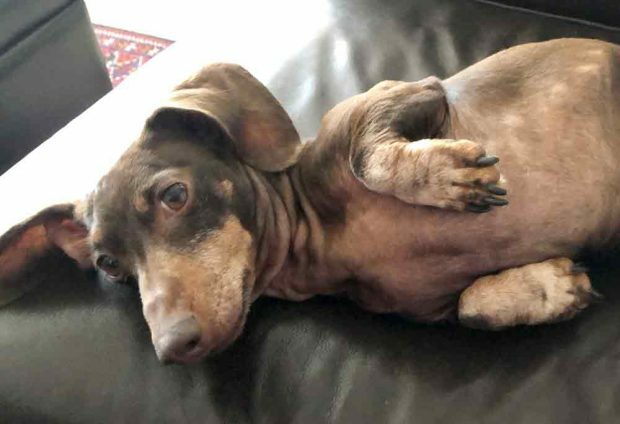 Several times I had to stop and pet my dear Coco’s face in order to really understand the changing direction of her hair. She didn’t mind too much. 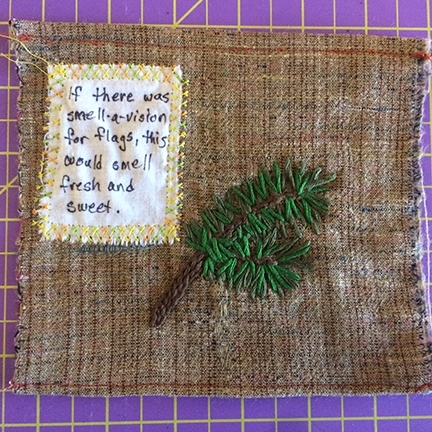 Stitching the face was a leap of faith. 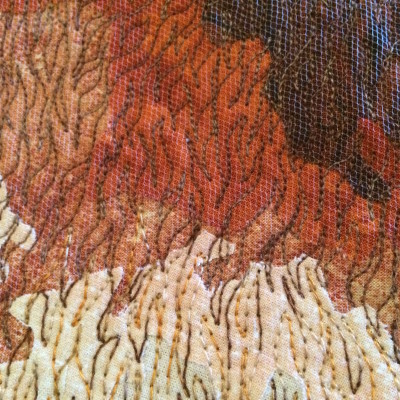 It is so tricky to stitch the face! If you try to recreate the actual contours, and the lines aren’t just right, it throws off the perceived shape and makes the face look distorted. I decided to go in a completely new direction: loop-d-loops. I covered the entire face in a small repetitive design that had nothing to do with its shape or contour. 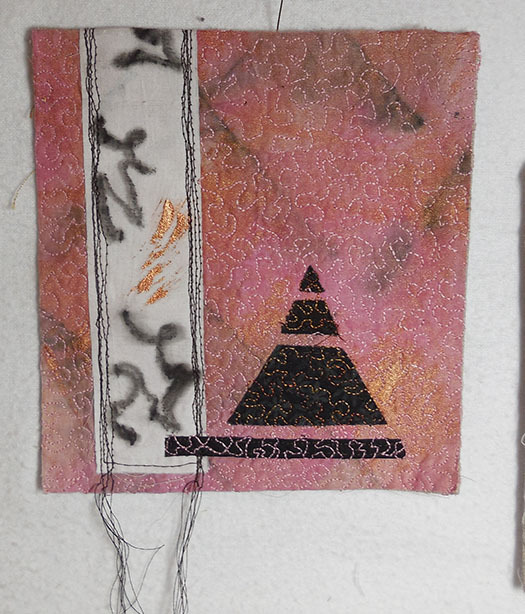 I still varied the threads, letting the values do the work. I’m really pleased with the results. The background was the most troublesome decision, just as with choosing the fabric. The print was complex and busy. 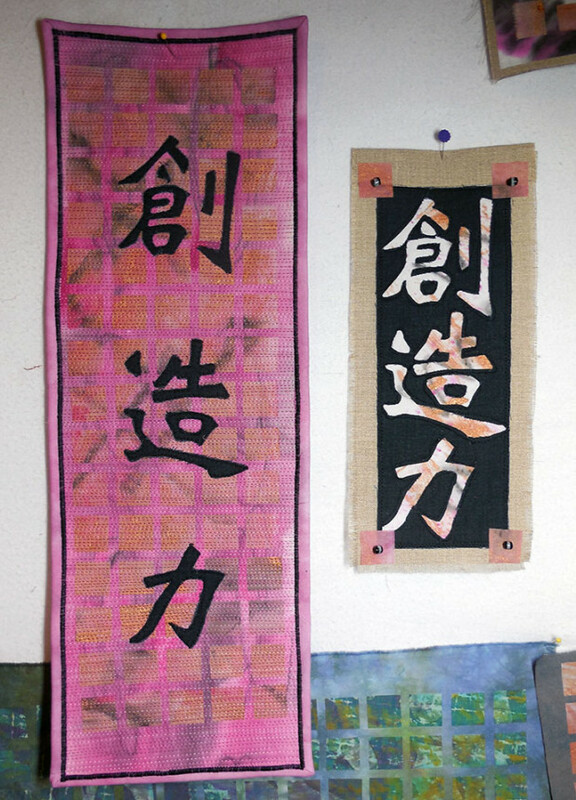 Afraid that it would become too strong and overpower other elements, I didn’t want to stitch the printed design. 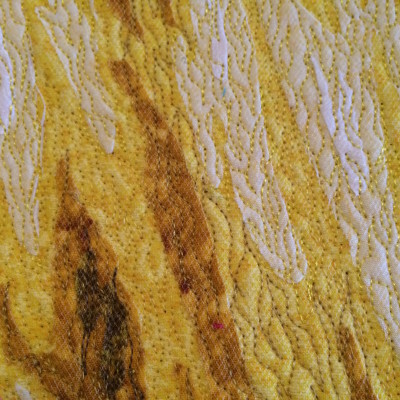 I came up with a wandering ribbon design with a tiny meandering stitch to fill in the spaces. I feel like the 2 patterns of the fabric and stitching sort of neutralize each other and take away their power to dominate. Finally, here’s the finished piece. 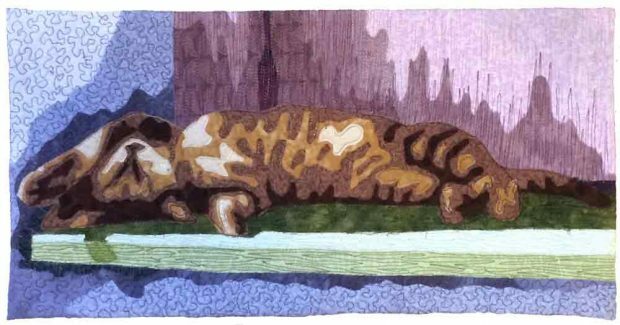 This entry was posted in In the Studio and tagged art composition, art quilts, creativity, elements of composition, fiber art, longarm quilting, mccomas fiber art, pictorial quilts, Portrait Quilts, problem-solving, progress on May 5, 2016 by lea. in an offer, it was accepted, and …that’s when things got complicated. Without going into the details, we are still waiting for some issues to be settled. disappointing at the workshop, but I brought home the “beginnings” and left them laying on the work table for another week. I touched them, look for inspiration on Facebook, moved them around and eventually, began to find my way. It is exciting when the process builds momentum. Like falling dominoes, a chain reaction happens. One thing leads to another. The photos show my progress. The rewarding aspect of this process is that it allowed me to work in a series without making a major commitment. 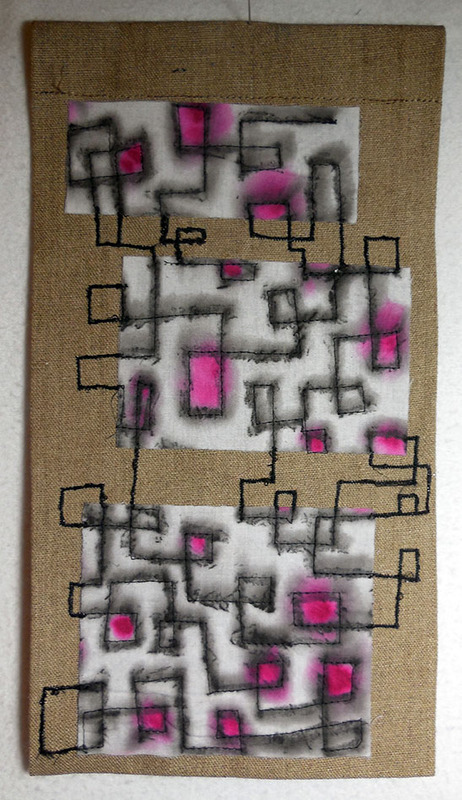 The big take away, for me, was creating a background fabric by fusing squares of one fabric onto another. 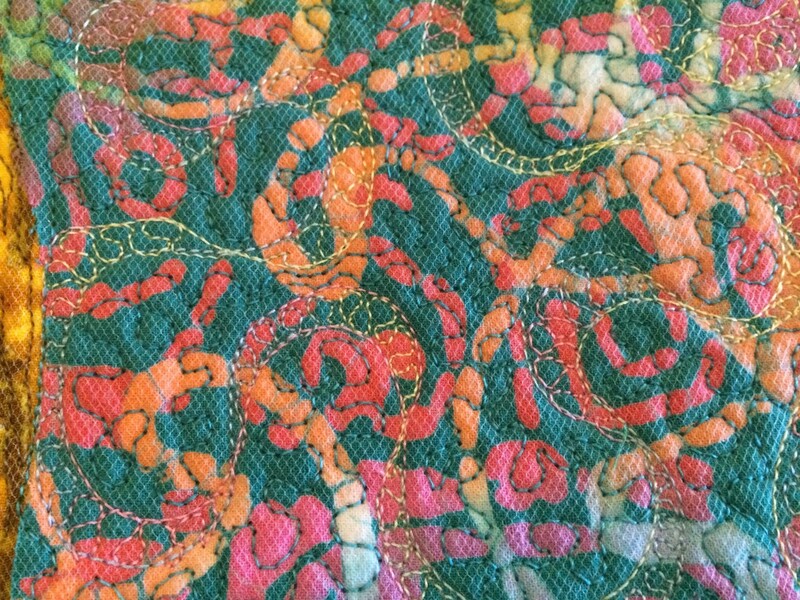 I used some hand dyed fabrics I created in a previous workshop. I’m going to find a way to incorporate this into a future “real” project. 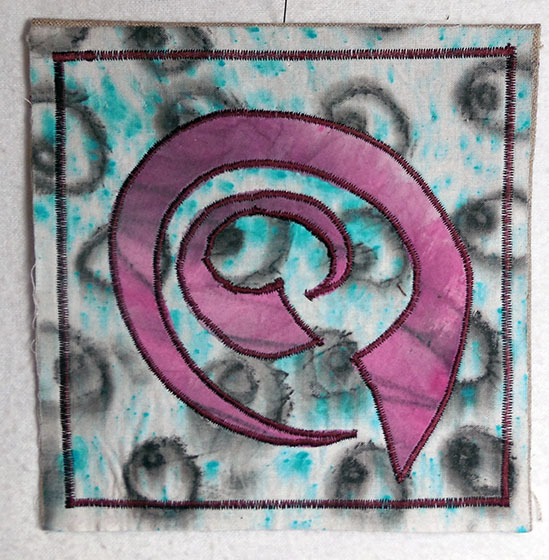 This entry was posted in Inspiration, Tips N Techniques and tagged art quilts, creativity, mccomas fiber art, progress on April 11, 2016 by lea. 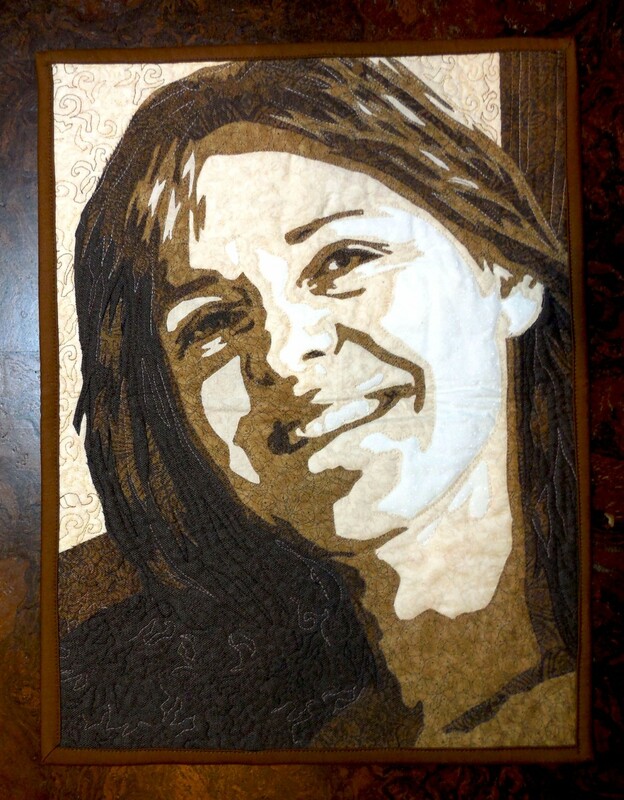 This entry was posted in Uncategorized and tagged art quilt workshops, art quilts, creativity, faces and hands, fiber art, mccomas fiber art, online quilt classes, Portrait Quilts, workshop on February 18, 2016 by lea. 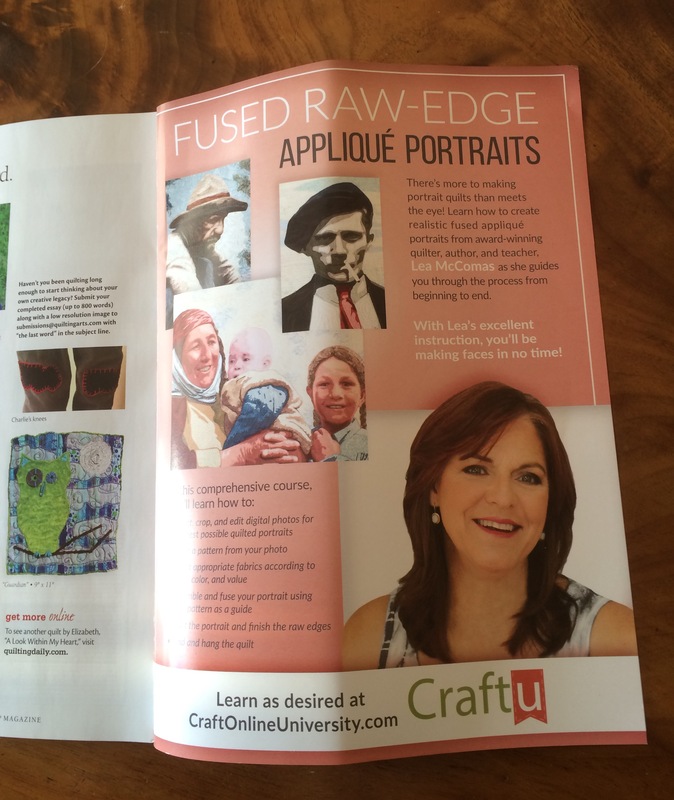 Both of my classes are now open for enrollment. 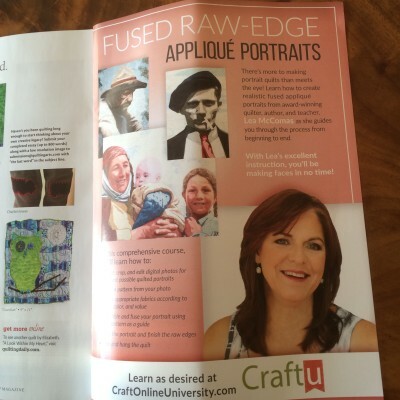 Fused Raw-Edge Applique Portraits is a 6-week course that begins March 7th, 2016. Interested in BOTH courses?? 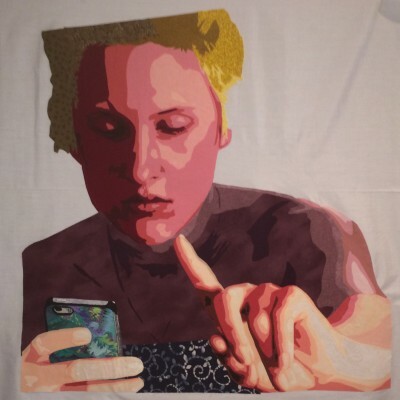 Enter the coupon code THANKS25 when you purchase Thread-Painted Portraits and you will get $25 off the cost of that course. 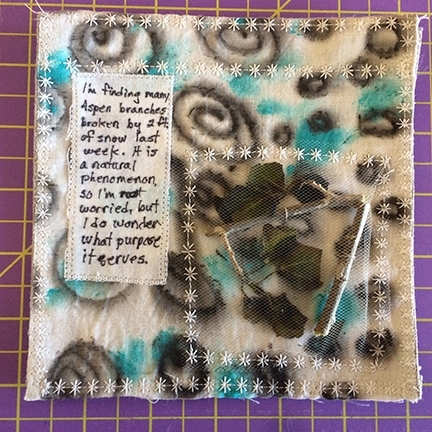 This entry was posted in Creative Community and tagged art quilt workshops, art quilts, creativity, mccomas fiber art, online quilt classes, pictorial quilts, Portrait Quilts, thread painting on January 5, 2016 by lea. 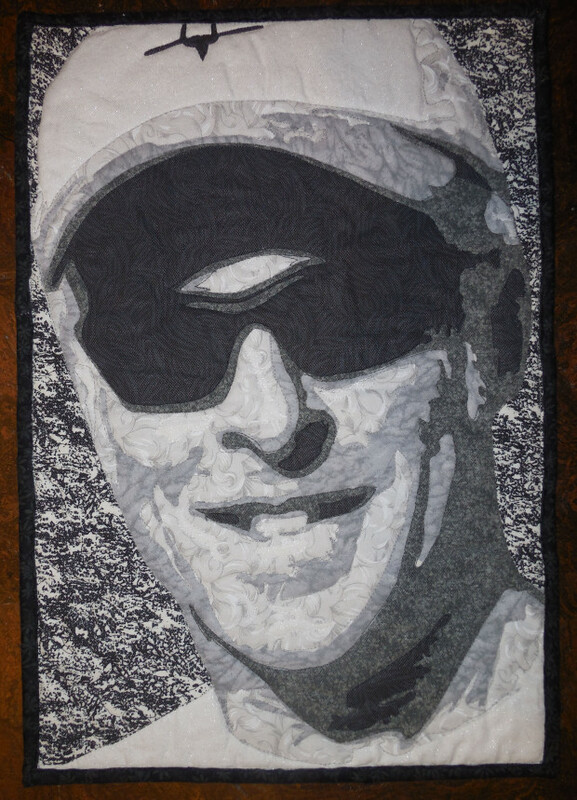 This week I want to share with you a quilt made by my friend, Jeanne Lounsbury. 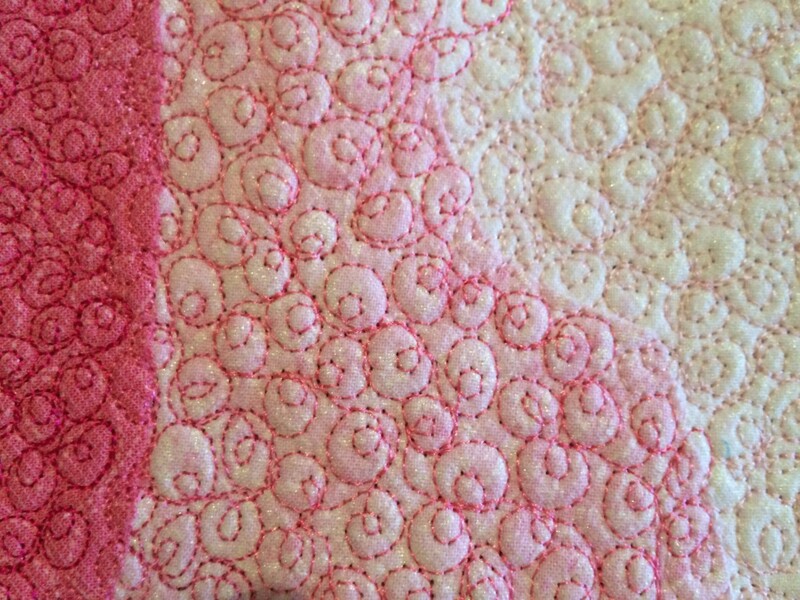 She made a strip quilt for her son using the Fibonacci Sequence (1, 1, 2, 3, 5, 8,…). 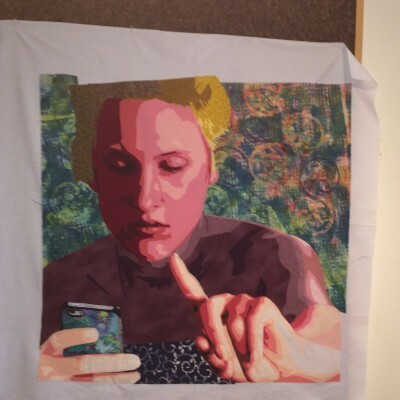 When she shared it with our local quilt group, I got really excited and thought others would appreciate it, too. She used my favorite hues of blue with a pop of red. 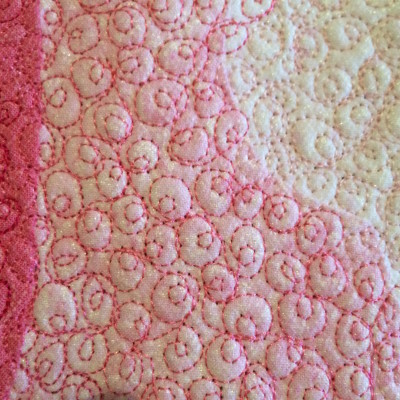 Here is the link to the Fibonacci Sequence Strip Quilt video. I’m currently in the middle of my 2-week winter vacation from school and am thoroughly enjoying the extra time to work in my studio. 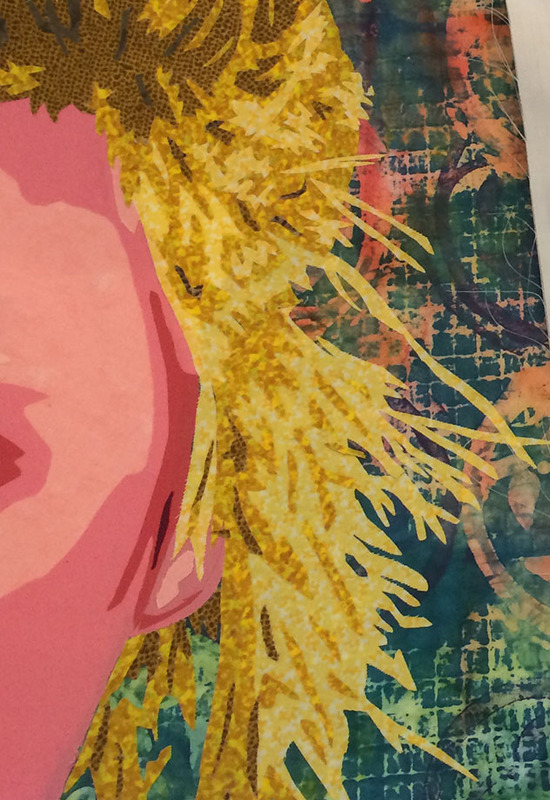 Next week, I should be ready to share with you my latest piece. Stay tuned. 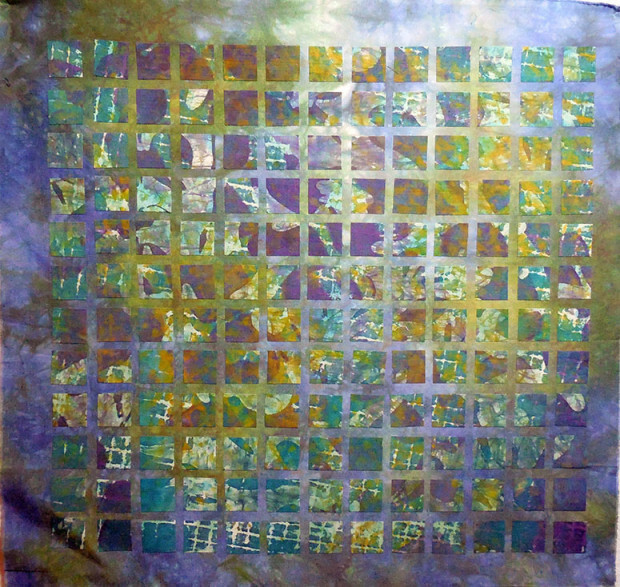 This entry was posted in Inspiration and tagged art quilts, artist demo, creativity, golden mean, quilt groups on December 31, 2015 by lea. I’m trying something new in my blog this week: a video. This is my first attempt, and let’s just say, it was a learning process. I’m thankful that I get to spend a large part of my day with teenagers who know all about this and are happy to advise their teacher. These tools are available in my web store if you want a set of your own. 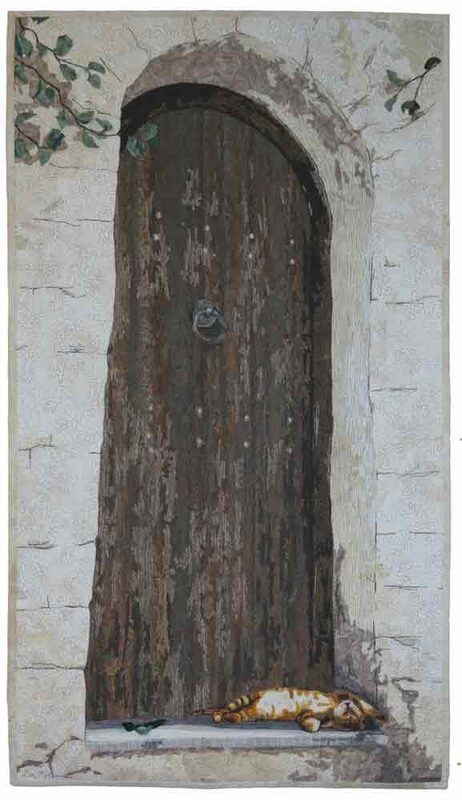 This entry was posted in Tips N Techniques and tagged artist demo, creativity, elements of composition, pictorial quilts, problem-solving on November 18, 2015 by lea. Next weekend, at the opening reception for “Interpretations: Celebrating 30 Years” at the Visions Art Museum in San Diego. 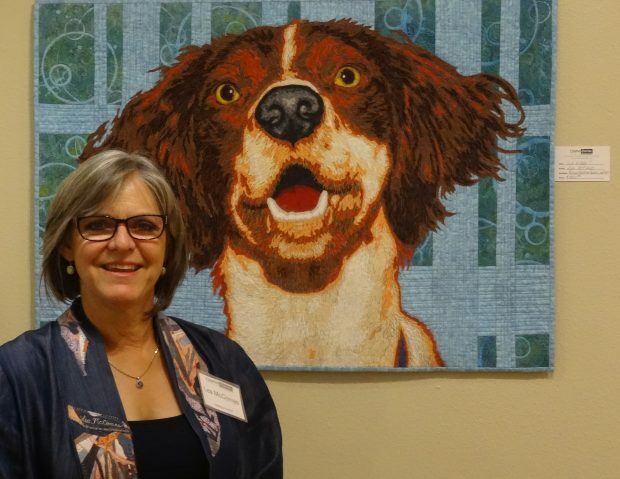 Oct. 28-Nov. 1 in Houston at the International Quilt Festival. Look for me in booth #2014. I’ll be sharing space with Mary Vaneecke of El Sol Quilting Studio. 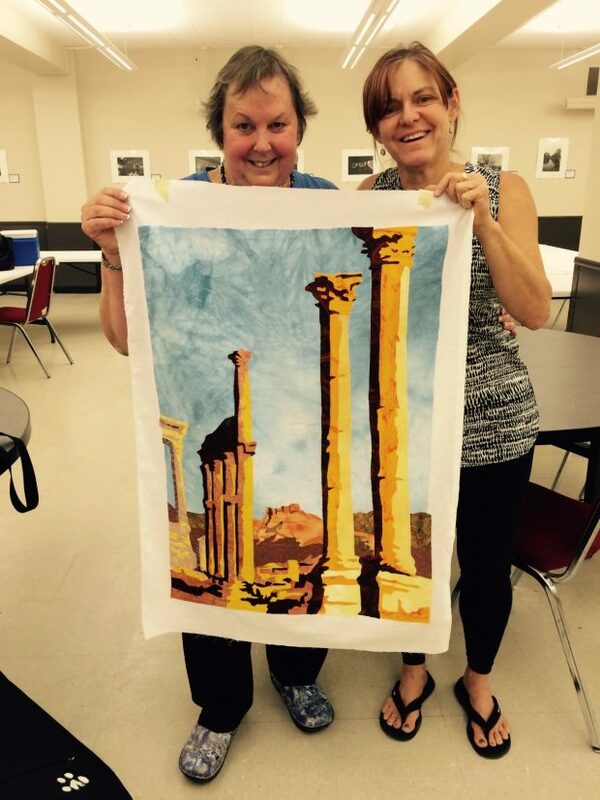 I just spent two days in a pictorial quilt workshop. This time, I’m a student, not the teacher. Jenny Bowker has made her way from Australia to Colorado and shared her techniques and lots of hilarious stories from her travels. Usually, I take workshops that cover techniques very different from my own and I do it to get out of my comfort zone. I have to say it was very rewarding to learn from someone who also makes realistic representational work, similar to my own. 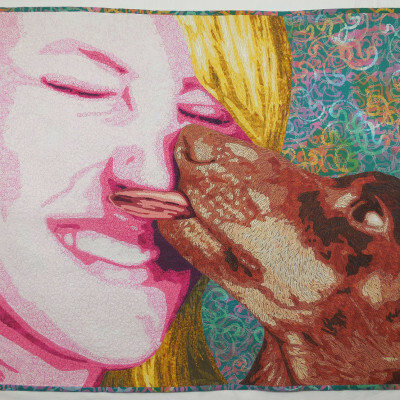 Check out Jenny’s work. Her technique for expanding the pictorial panel with traditional blocks is something I just might use in the near future. 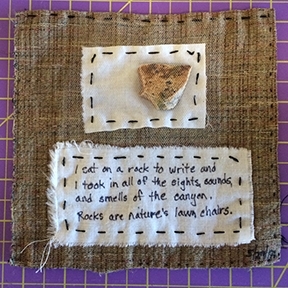 Her applique technique to make blocks that simulate ceramic tiles similar to those I loved in Turkey is also on my “Must Do” list. In preparing for the workshop, I selected a photo of Palmyra, Syria that I took back in the 90’s, when I was teaching in Turkey. Coincidentally, she once lived in Syria and she recognized my photo right away. I was a nice connection. 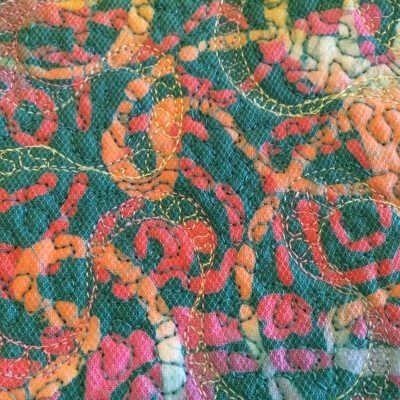 Also, for some time now, I’ve wanted to incorporate some of the designs from Turkish art in my quilts, and now I have some fresh ideas for how to do that. 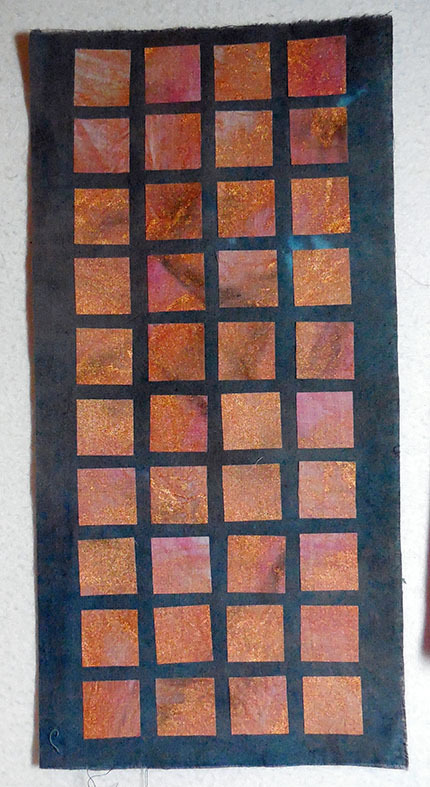 Here is the panel that I completed of Palmyra. Check back in a few months to see what becomes of it. 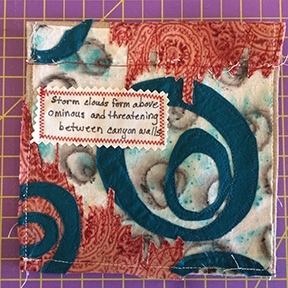 This entry was posted in Out and About and tagged art quilt workshops, art quilts, creativity, exhibits, pictorial quilts, quilting on October 12, 2015 by lea.